John Rine is the managing partner in the Tampa office of Lewis Brisbois and a member of the General Liability, Hospitality, Transportation and Toxic Tort & Environmental Litigation Practices. Mr. Rine has been practicing law in Florida and the Southeastern United States for more than twenty years and primarily practices in general liability, with a focus on hospitality, transportation and toxic tort litigation. He also has extensive experience in products liability, professional and legal liability and construction. Mr. Rine has served as lead attorney on over eighty trials. His clients range from national representation of the world’s largest full-service restaurant company to regional representation of trucking companies and other businesses. The work that he and his team have performed for clients has consistently resulted in positive verdicts, summary judgments, and favorable settlements. Mr. Rine takes pride in the representation that he and his team continue to provide for clients and the results that they have delivered. His team is available twenty-four hours a day and seven days a week to meet their clients’ needs; including answering legal questions or responding to scenes and investigating potential emergent claims. Mr. Rine has also demonstrated his commitment to the profession and the community throughout his career. He has served as the President of the Pasco County Bar Association, Vice President of The Dade City Kiwanis, and currently sits on the Board of Directors for his church. 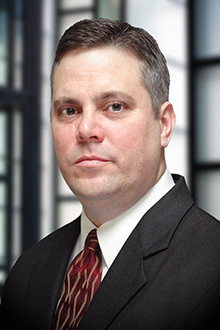 He presents several times a year at various organizations on topics ranging from investigations of claims to electronic discovery to recent developments in the law. He has taught legal research and writing, criminal law and civil procedure at both the college and law school level.